After Litchfield’s seemingly endless winter, the arrival of warm temperatures and of baseball’s opening day finally let us think spring has arrived. Fittingly, markers denote sites pertinent to the lives of two local baseball legends. 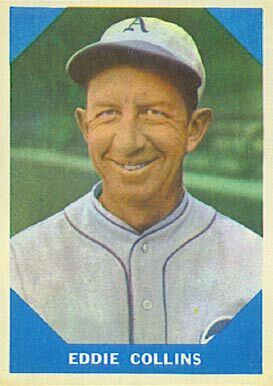 Eddie Collins was born Millerton, NY, (just over the border from Litchfield County) in 1887, and graduated from Columbia University at a time when very few major leaguers were college graduates. (Lou Gehrig also attended Columbia). Two years before graduating, Collins had signed with Philadelphia Athletics so he played professionally as Eddie Sullivan to protect his amateur status at Columbia. Collins went on to play 25 seasons in the Major Leagues, retiring at the age of 43. Over his career he won four World Series titles (3 with A’s, 1 with White Sox), with a .333 average and 3314 hits. While a member of the infamous 1919 White Sox team that became known as the “Black Sox” for throwing the World Series, Collins was not suspected of being in on the fix, as he was believed to play have played honestly. Bill James, the noted baseball statistical analyst, ranks Collins as the greatest second baseman of all time. 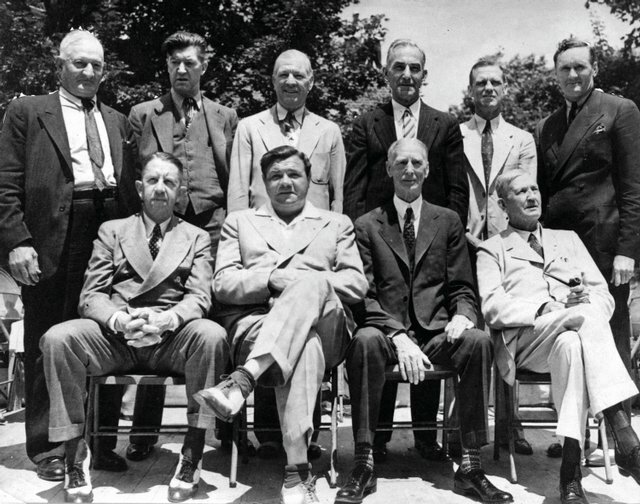 The 1939 National Baseball Hall of Fame induction. 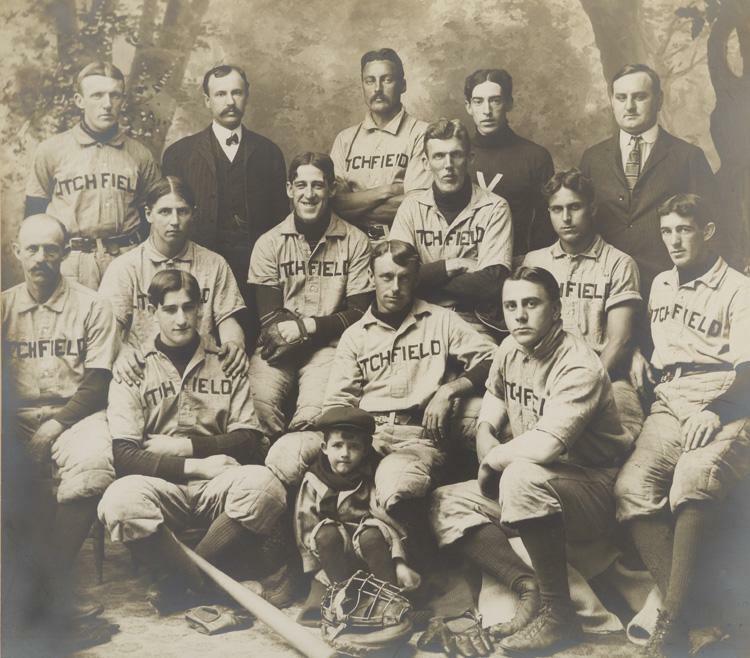 Eddie Collins is seated at the left of the front row, next to Babe Ruth. Collins was voted into the National Baseball Hall of Fame in 1939 and took part in the first ever induction ceremony. (The first Hall of Fame class was 1936, but there were no inductions until 1939.) As a participant in that ceremony, Collins stood on the steps of the Baseball Hall of Fame with such luminaries as Grover Cleveland Alexander, Ty Cobb, Walter Johnson, Nap Lajoie, Connie Mack, Babe Ruth, George Sisler, Tris Speaker, Honus Wagner and Cy Young. Steve Blass was born Canaan in 1942, and pitched at Housatonic Valley Regional High School (where according to legend he buried his baseball socks in the mound after his last game in 1960). 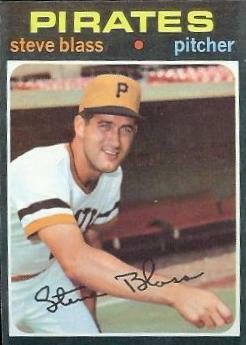 In a ten-year Major League career with the Pittsburgh Pirates, Blass went 103-76 with a 3.63 ERA. In 1968, the famous “Year of the Pitcher”, Blass led the National League in winning percentage, going 18-6. He won 19 games in 1972. The highlight of Blass’s career came with the 1971 World Series, when he won two games – including the decisive 7th game – allowing only 2 runs in 18 innings. Since 1983, Blass has been a TV and radio announcer for Pirates’ games. 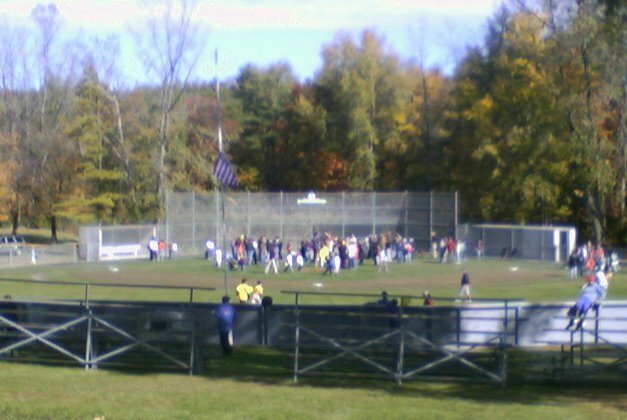 Canaan’s Steve Blass Field is named in his honor. This entry was posted in Uncategorized by pvermily. Bookmark the permalink.